Without seeking to soil our hands in the political slugfest that has erupted over the government’s decision to use the ordinance route to legislate against the abhorrent practice of ‘triple talaq’, it would be cowardly not to comment on the use of that power ~ which the President has endorsed ~ when one House of Parliament is still seized of a Bill to the same effect. By acquiescing and approving the ordinance, Mr Ram Nath Kovind has willy-nilly negated a key feature of a bi-cameral legislature ~ the often necessary second look. The by-passing of the Rajya Sabha on this issue cannot be seen in isolation from a series of other moves to reduce the authority of the Elders ~ where the BJP-led NDA is frequently unable to muster a majority, and working to secure a consensus is deemed ‘infra dig’ by the ruling entity’s arrogant managers of parliamentary affairs. The President has blotted his copybook by contributing to an impression that he is overly influenced by numbers, and not giving the Council of States (the Rajya Sabha) its due. Critics would see Rashtrapati Bhawan’s action in the context of the Speaker of the Lok Sabha having little hesitation in declaring legislative proposals “money bills” to deny the Upper House a say. The Vice-President and Chairman of the Rajya Sabha, Mr M Venkaiah Naidu, has been delivering sermons on the criticality of upholding parliamentary propriety: his “take” on the slighting of the institution over which he presides is anxiously awaited. 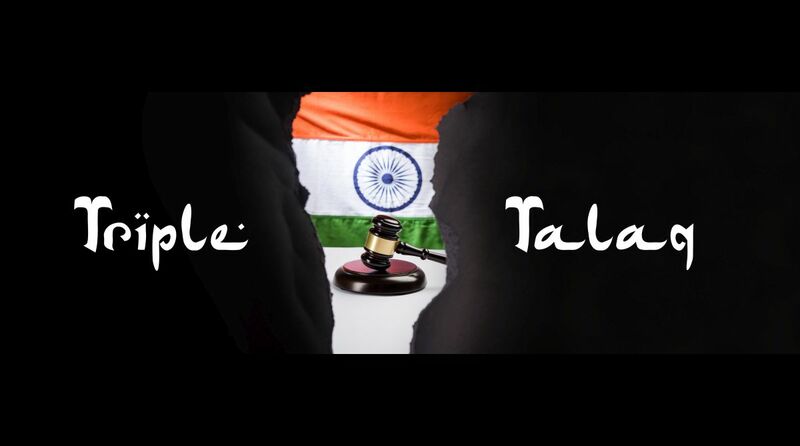 As for triple talaq itself is must be noted that the Congress-led Opposition has never rejected the apex court verdict against that archaic practice, but sought fine-tuning of the Bill the government had processed through the Lok Sabha ~ after a Supreme Court directive ~ by having the proposals scrutinised by a select committee that is entitled to seek the views of non-MPs too. Since the apex court has already struck down triple talaq there was no immediacy for legislative action (except 2019) ~ so the charge that the Congress was playing vote-bank politics could easily be tossed back at the NDA which is desperate to make inroads into the Muslim ranks: no need to cite a couple of other recent moves towards that end. Communalised voteattractions are now part of the political narrative. There would be many hailing the triple talaq ordinance, that ends an injustice to women. Yet there would be many more who would note that Ravi Shankar Prasad was being selective when talking of a “compelling necessity” for it. Victims of triple talaq have indeed suffered, but not to the extent of those for whose very life the Supreme Court has also directed preventive/punitive action. Will the law minister illuminate us why the government is hesitant to legislate against mob lynching? Is that not a blood-stained version of vote-bank politics?